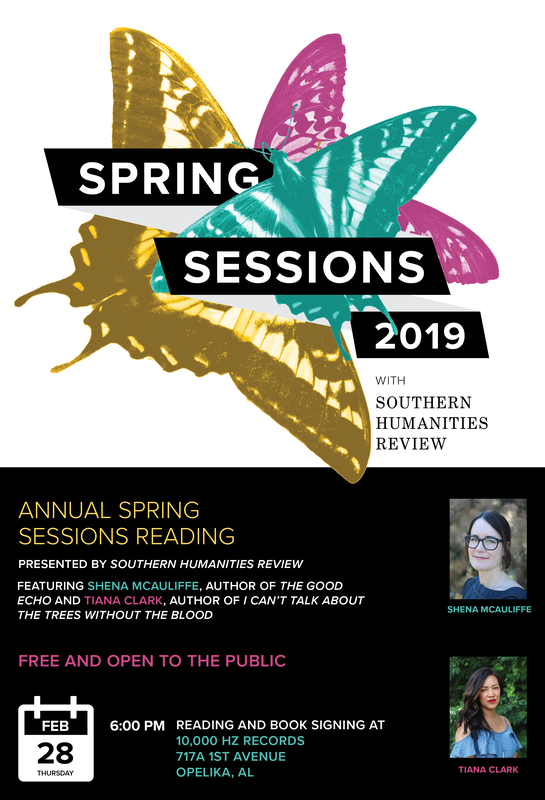 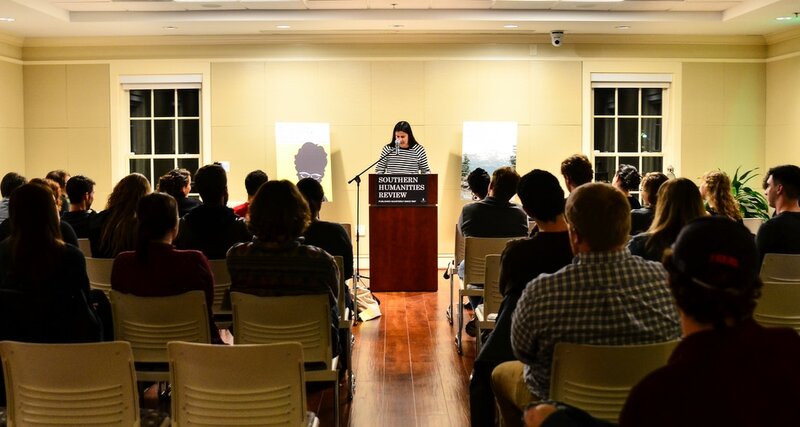 Poet Tiana Clark and fiction writer Shena McAuliffe joined us in Auburn for an evening reading in downtown Opelika filled with twinkle lights, frog dissections, anxiety poetry, and Rihanna. 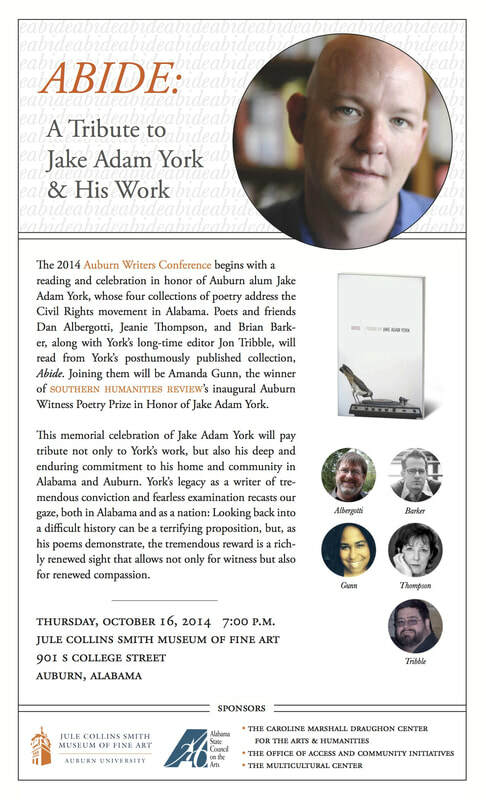 An evening celebrating our annual poetry prize honoring Jake Adam York. 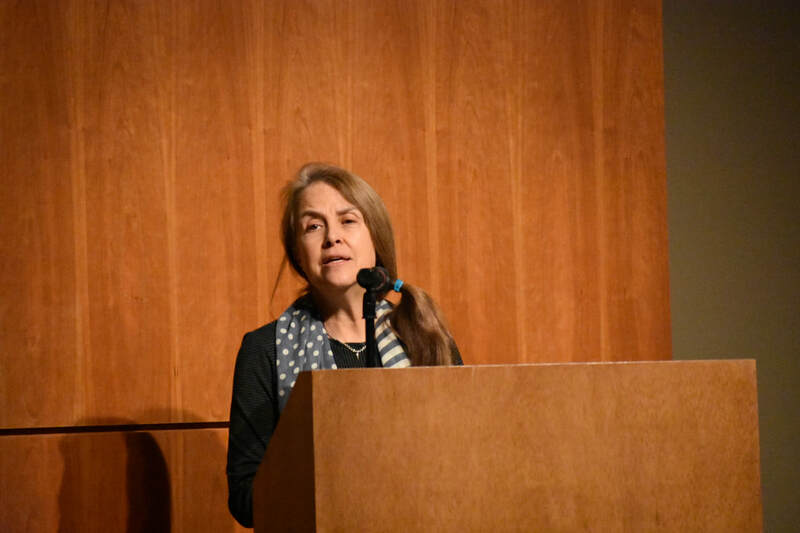 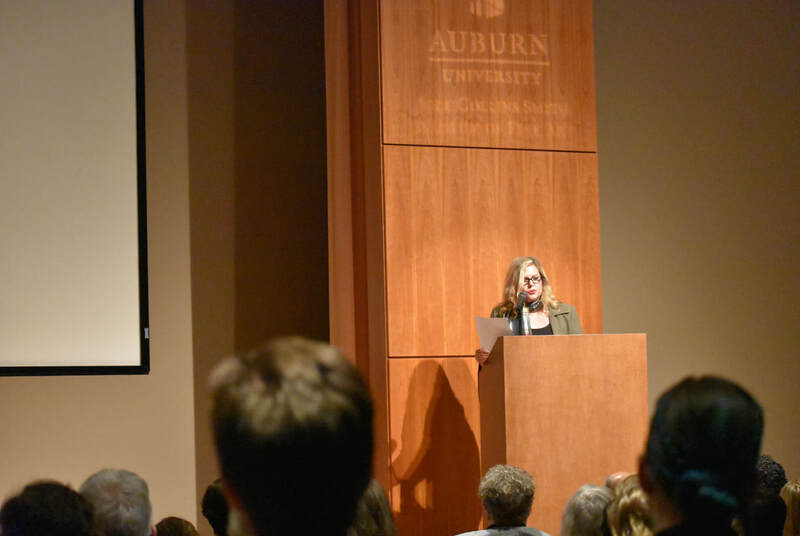 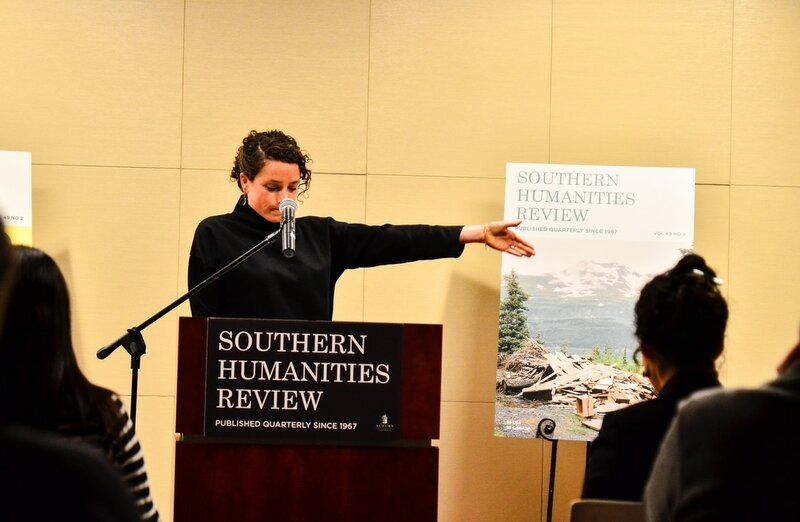 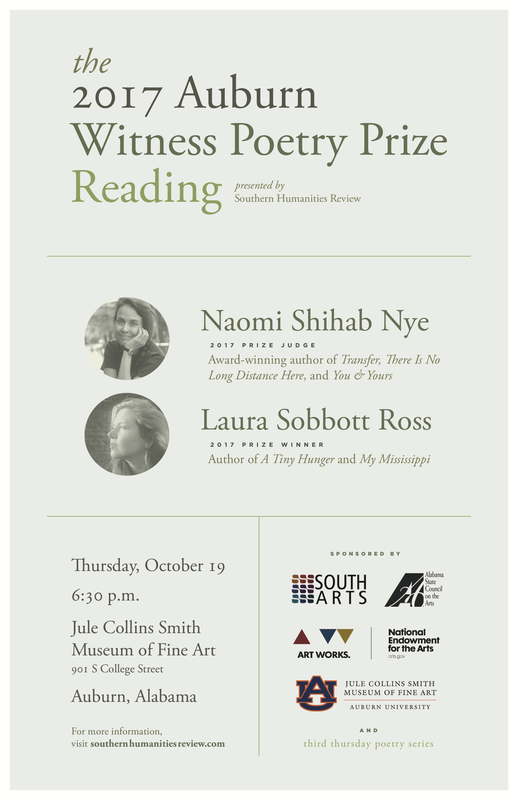 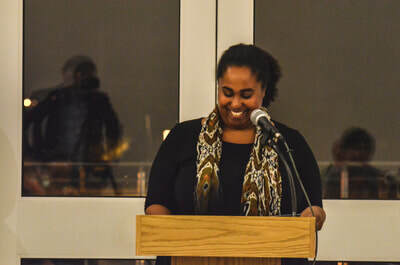 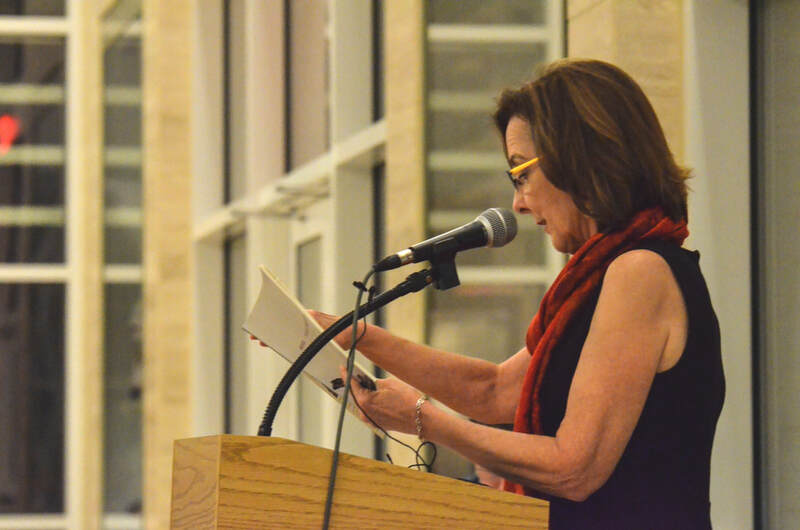 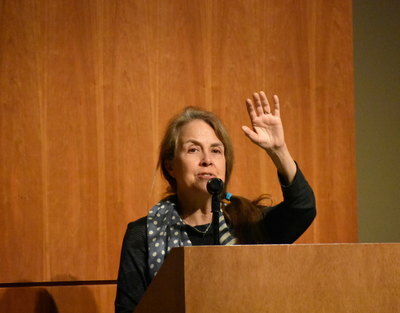 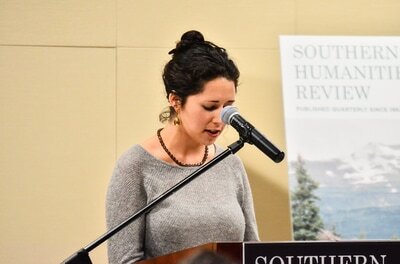 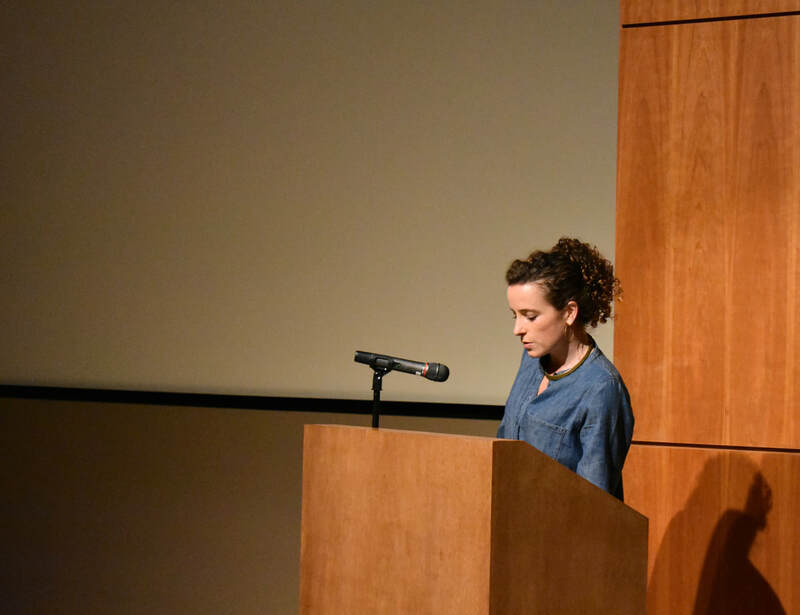 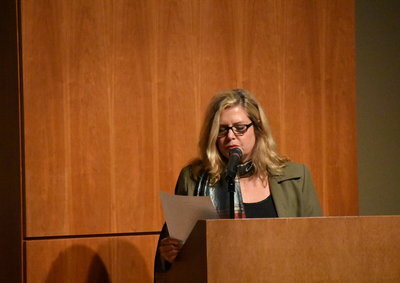 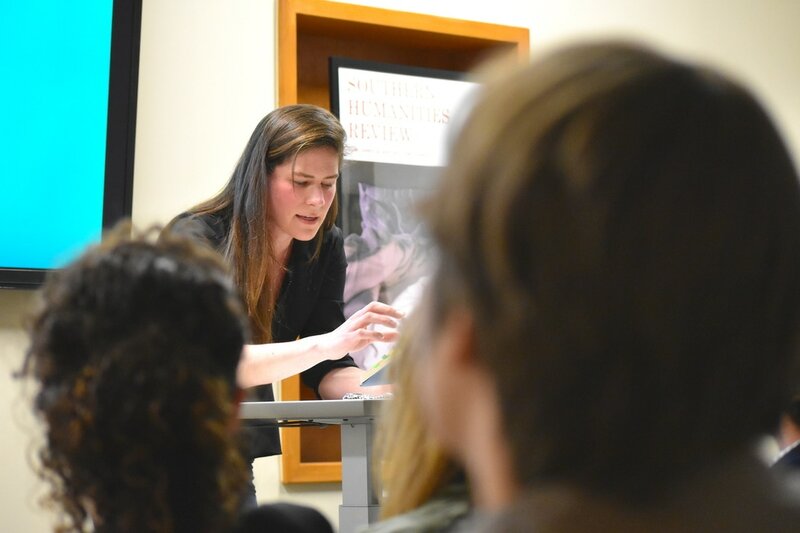 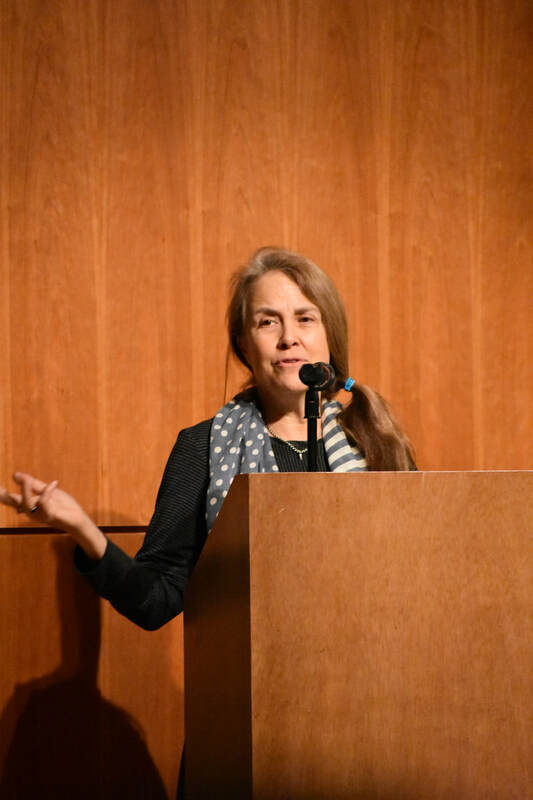 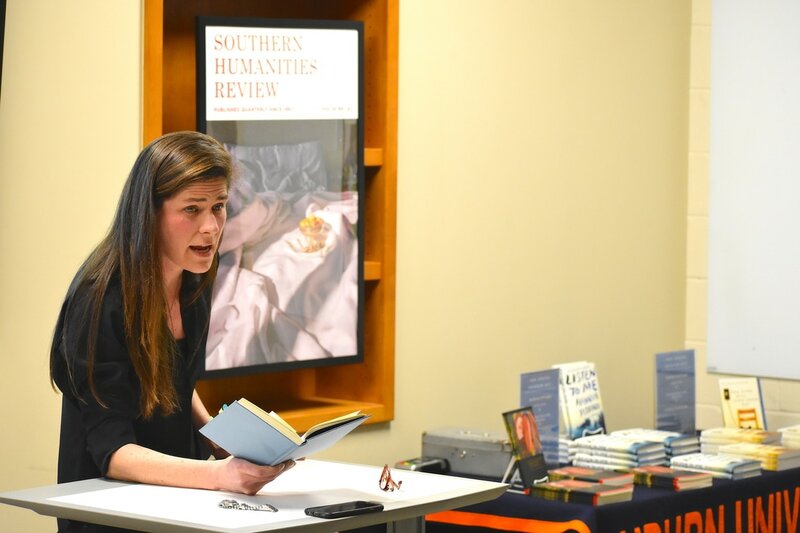 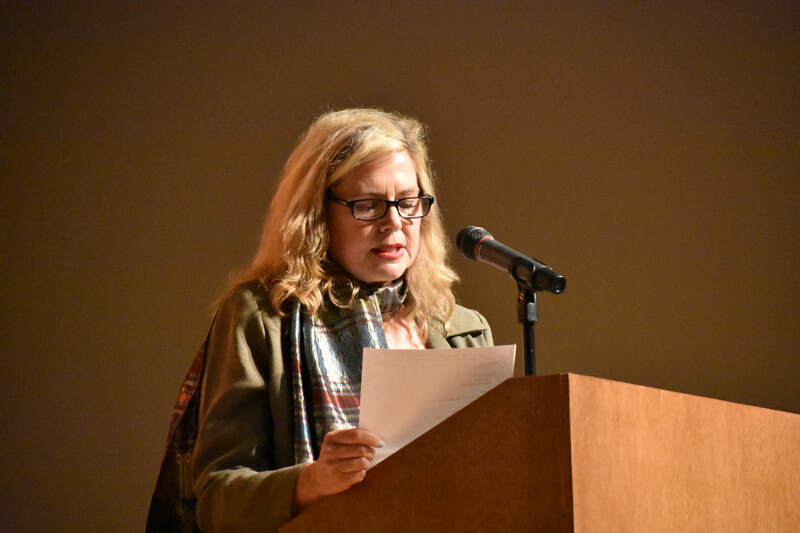 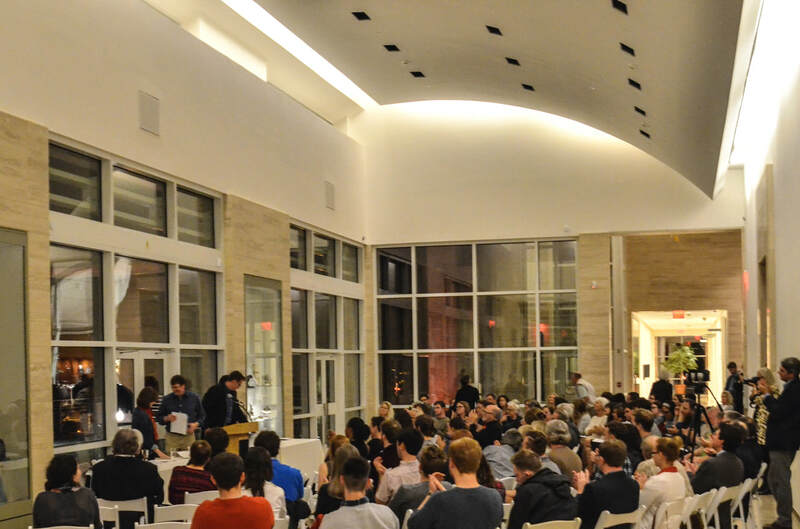 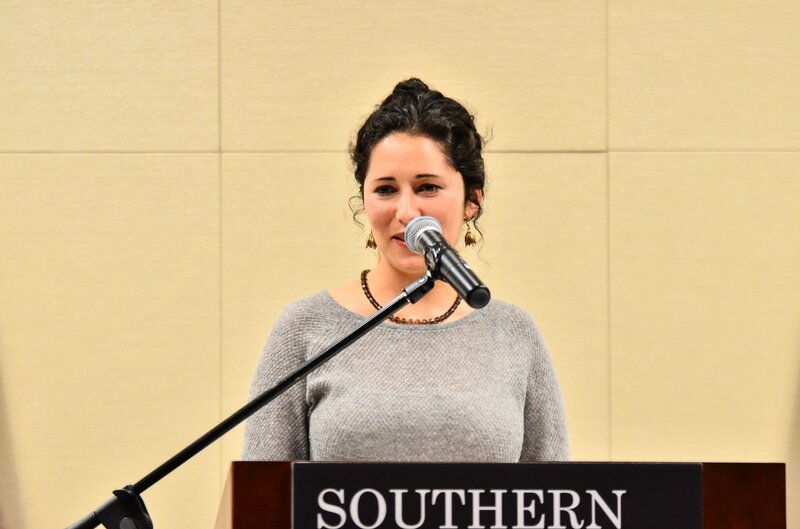 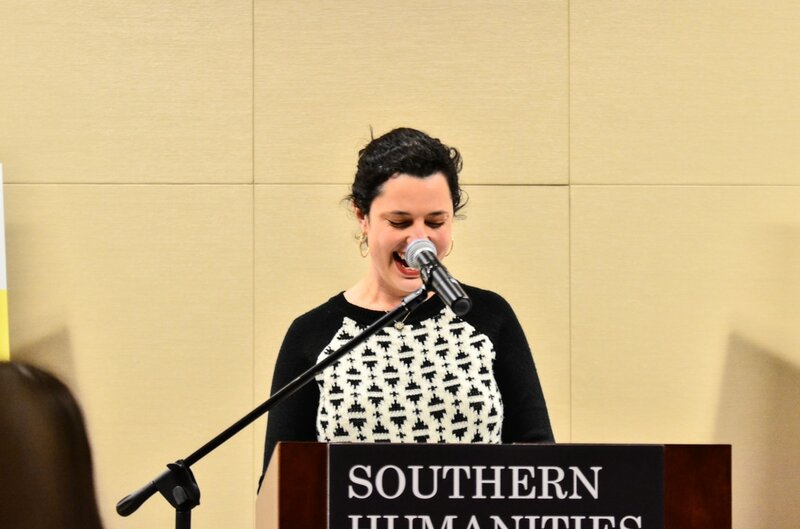 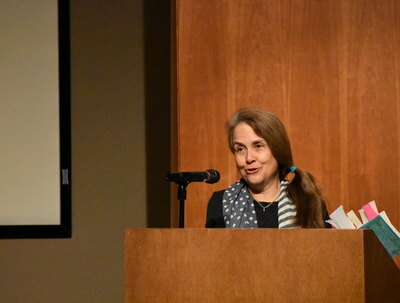 This year's winner, Laura Sobbot Ross, read alongside this year's judge, Naomi Shihab Nye, at the Jule Collins Smith Museum of Fine Art at Auburn University. 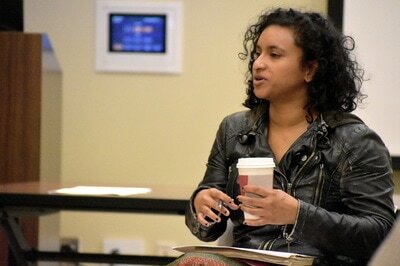 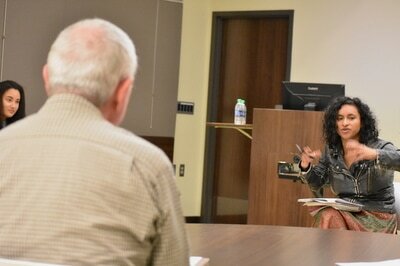 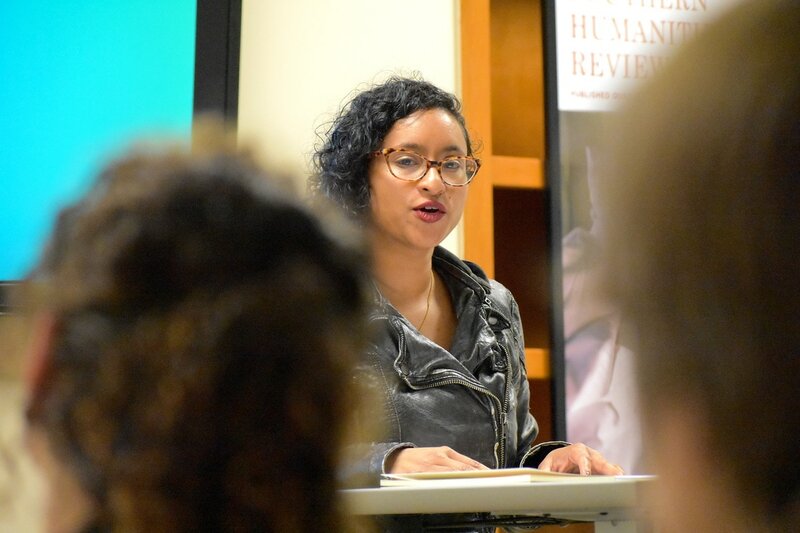 Poet Tarfia Faizullah and fiction writer Hannah Pittard joined us in Auburn for a day of writing workshops and readings. 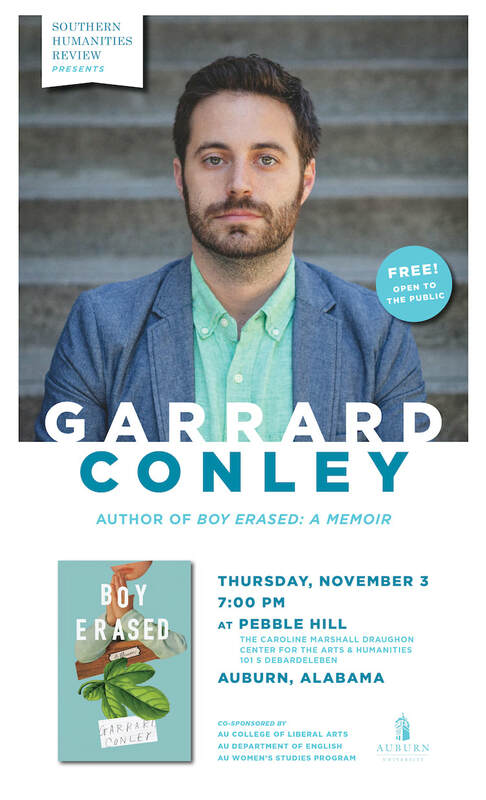 Auburn alumnus and former SHR student editor Garrard Conley paid us a visit and read from his debut memoir, Boy Erased. 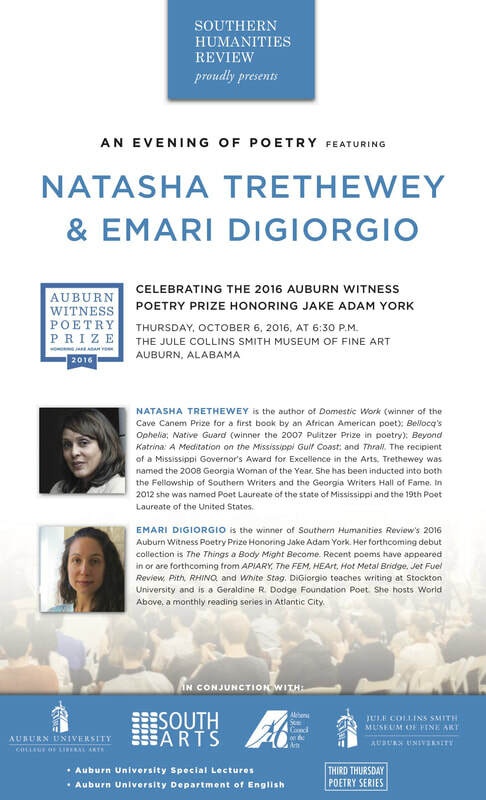 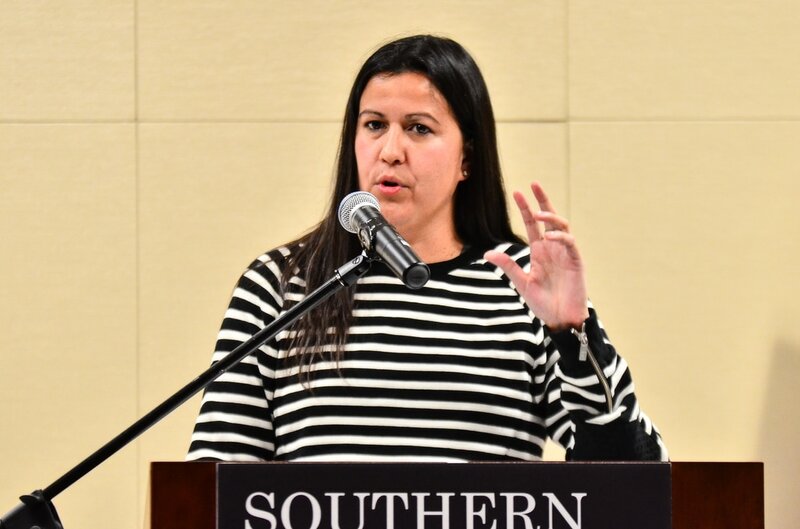 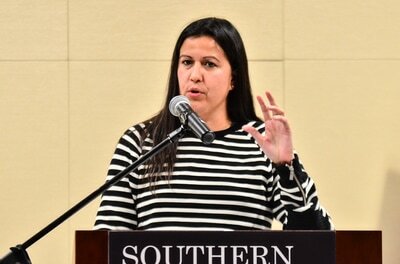 Poet Natasha Trethewey served as the final judge of this year's poetry prize and helped us welcome winner Emari DiGiorgio to Auburn for a reading. 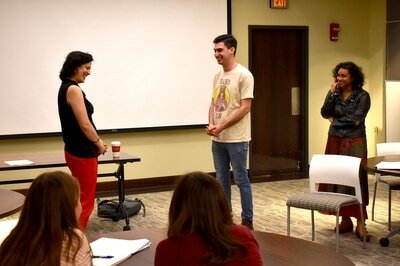 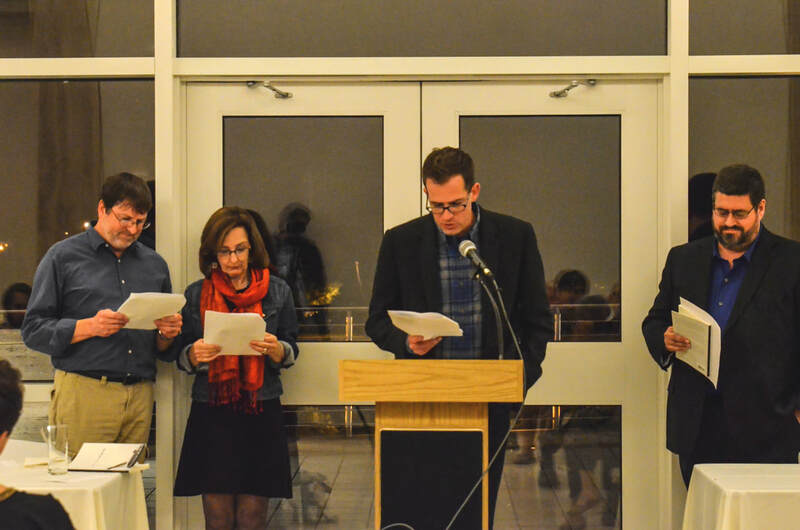 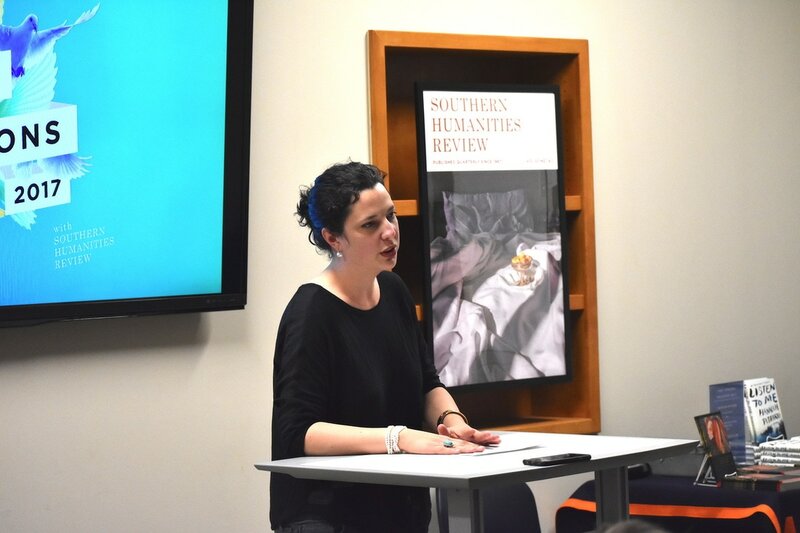 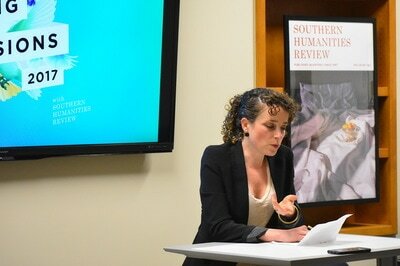 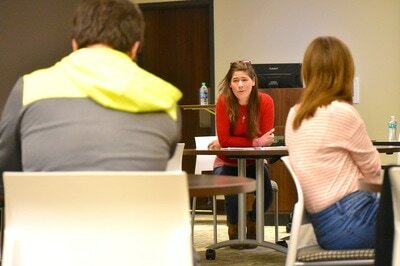 SHR's faculty editors, Anton DiSclafani, Rose McLarney, and Andrew Malan Milward read at Auburn University. 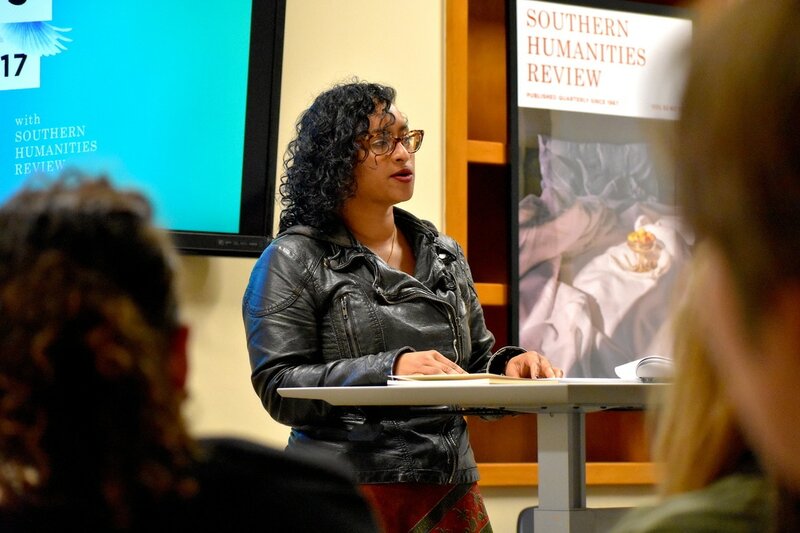 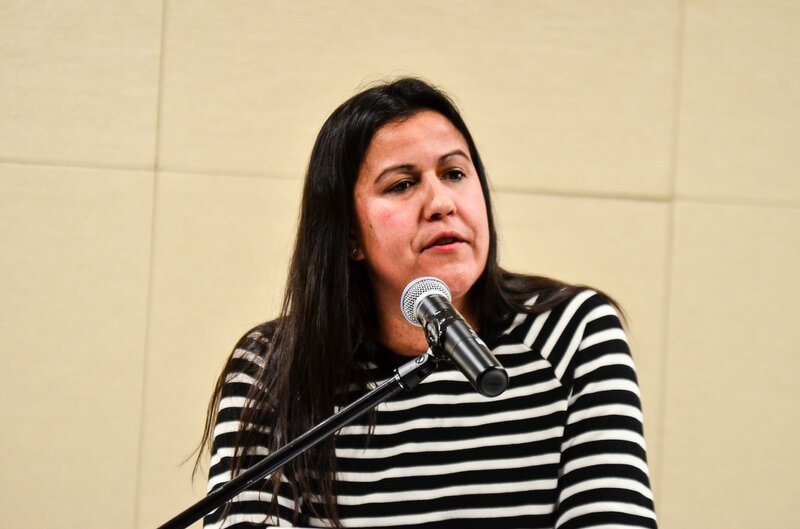 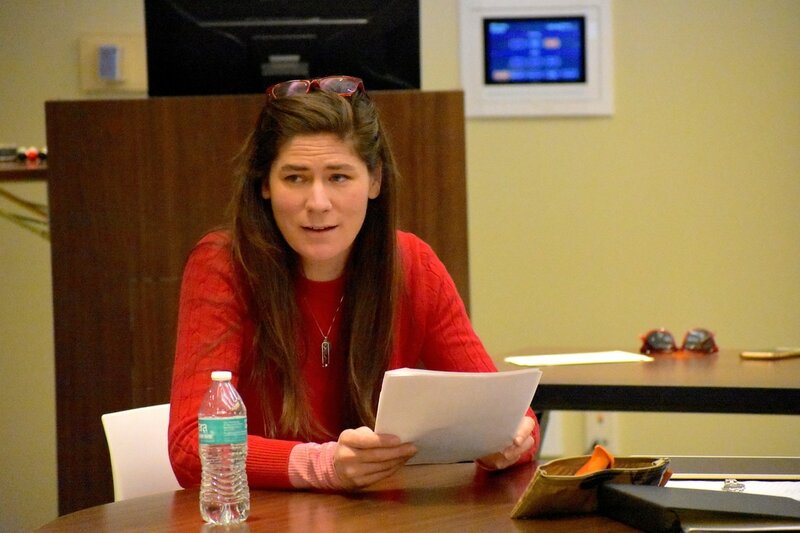 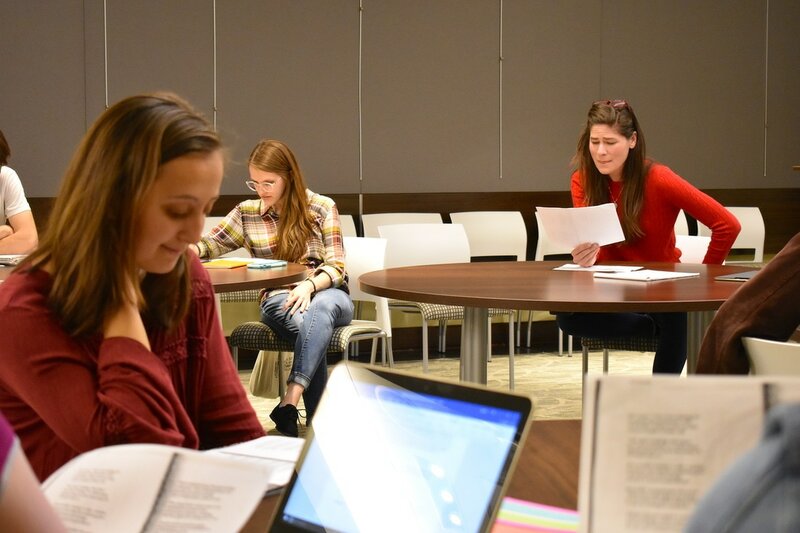 Poet Natalie Diaz and fiction writer Kirstin Valdez Quade joined us in Auburn for a day of writing workshops and readings. 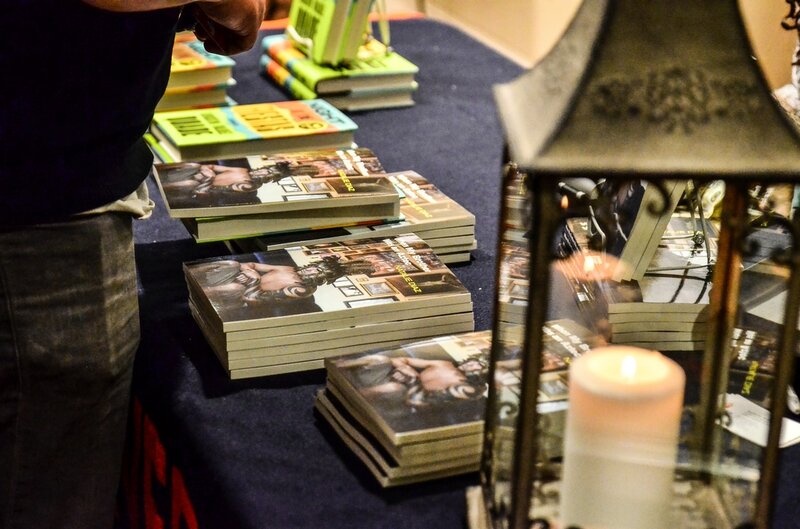 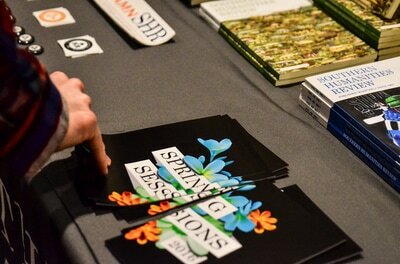 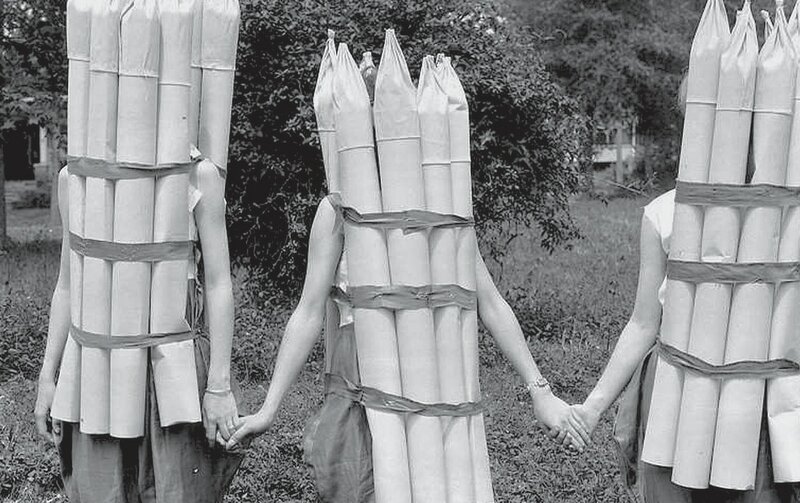 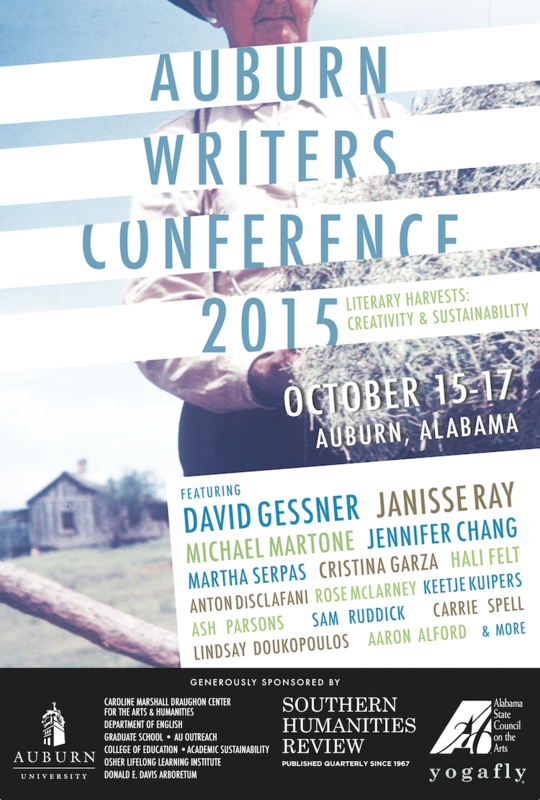 Literary Harvests: Creativity & Sustainability. 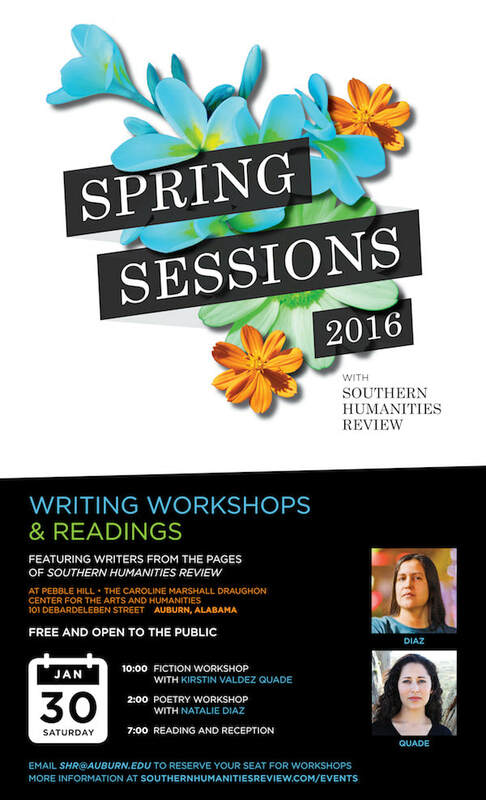 Featuring David Gessner, Janisse Ray, Michael Martone, Jennifer Chang, Martha Serpas, Cristina Garza, Hali Felt, & more! 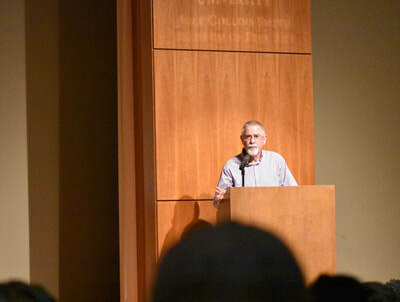 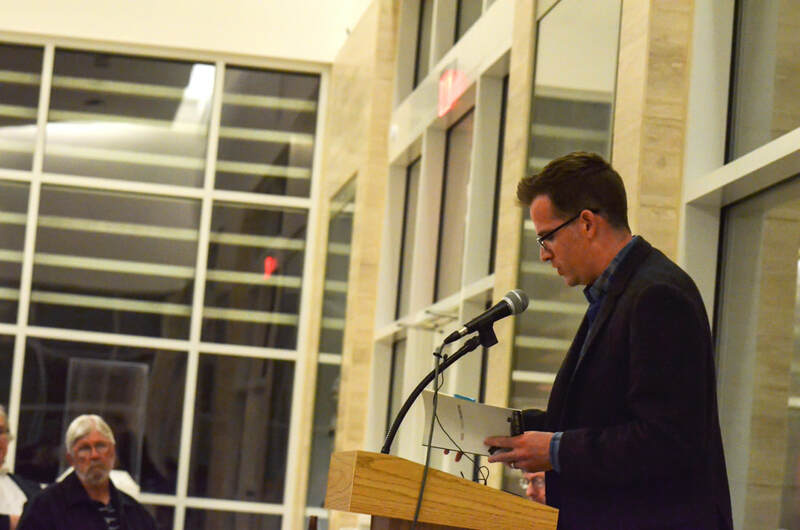 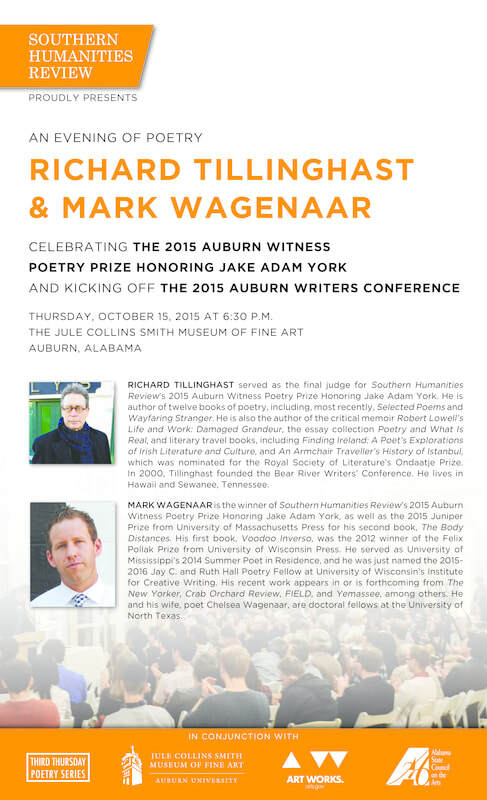 Poet Richard Tillinghast served as the final judge of 2015's poetry prize and helped us welcome winner Mark Wagenaar to Auburn for a reading. 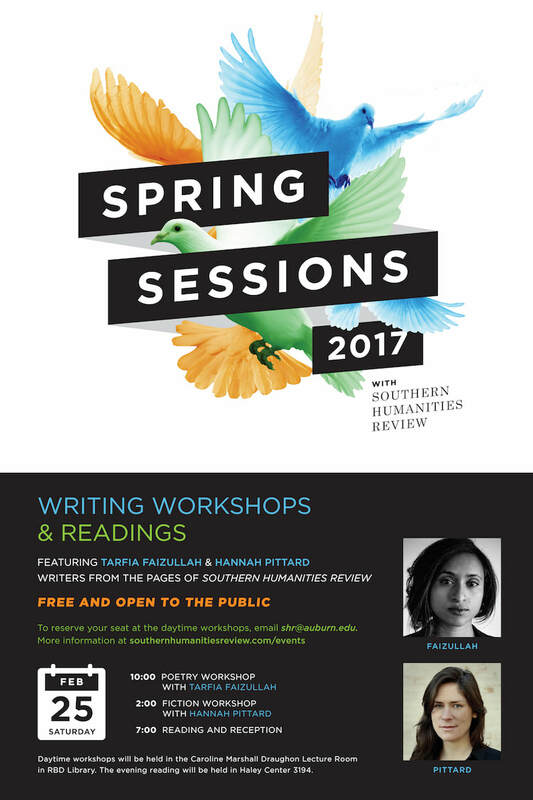 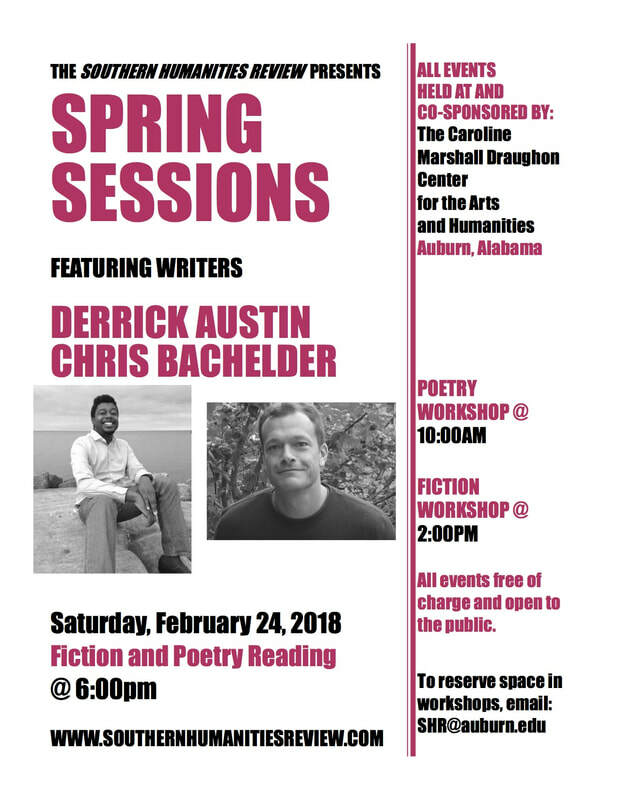 Poet Matthew Siegel and prose writer Hannah Dela Cruz Abrams joined us in Auburn for a day of writing workshops and readings. 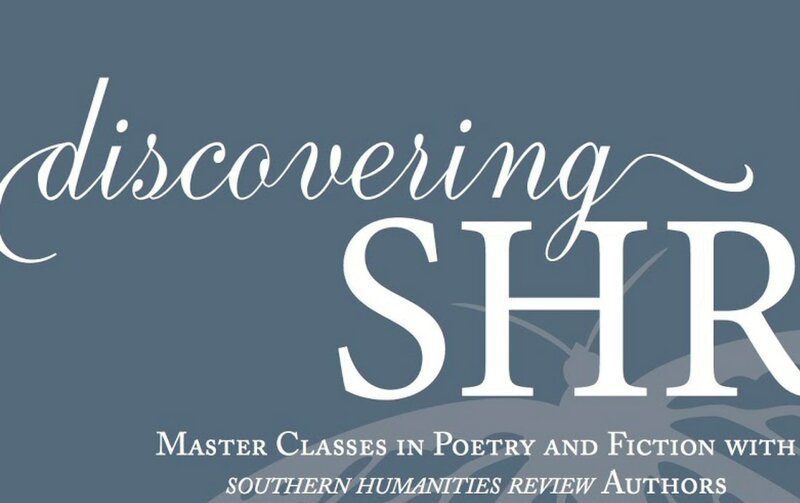 The Inspired South. 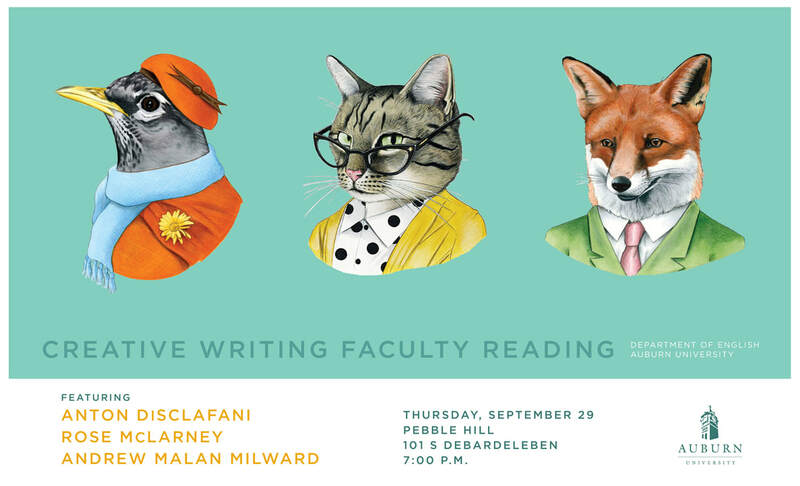 Featuring Beth Ann Fennelly, Tom Franklin, Michael Knight, Ann Fisher-Wirth, Kevin Wilson, Adam Vines, Harrison Scott Key, & more! A tribute to the late poet Jake Adam York, an Auburn alumnus, from poets and friends Jon Tribble, Dan Albergotti, Brian Barker, and Jeanie Thompson. 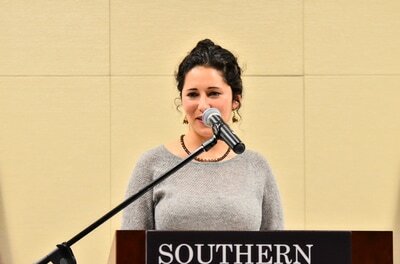 Introducing Amanda Gunn, the winner of our inaugural Auburn Witness Poetry Prize Honoring Jake Adam York. Kicking off the 2014 Auburn Writers Conference. 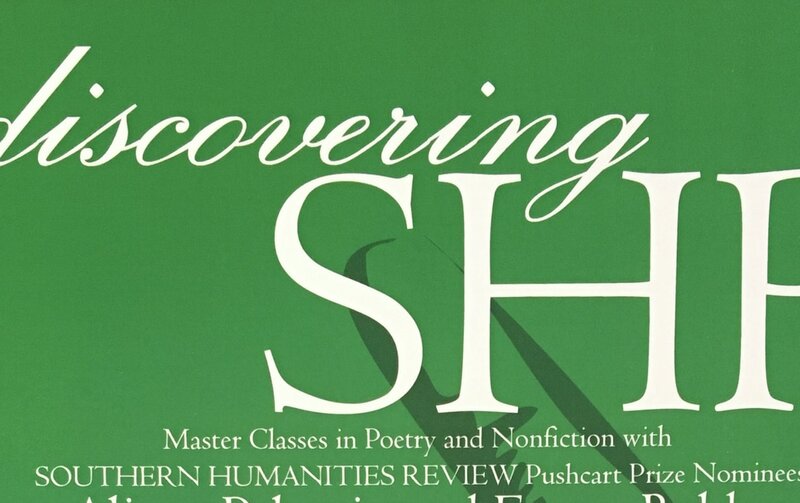 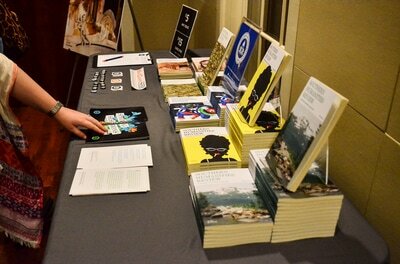 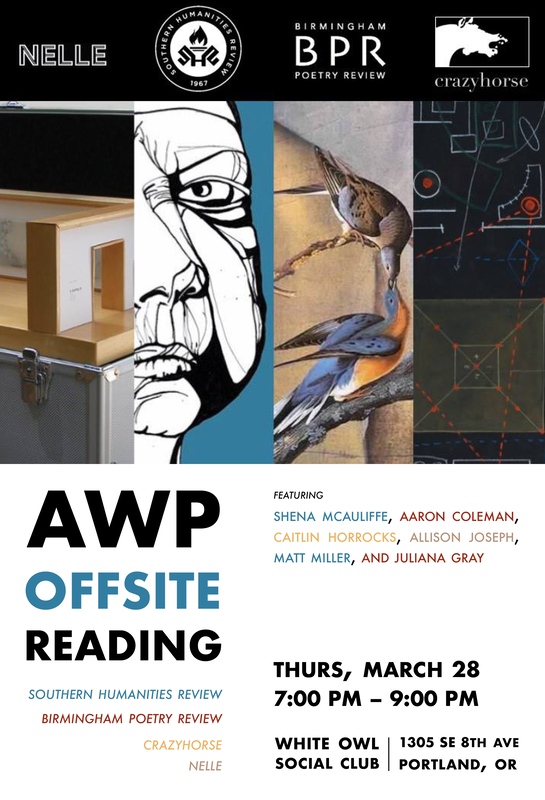 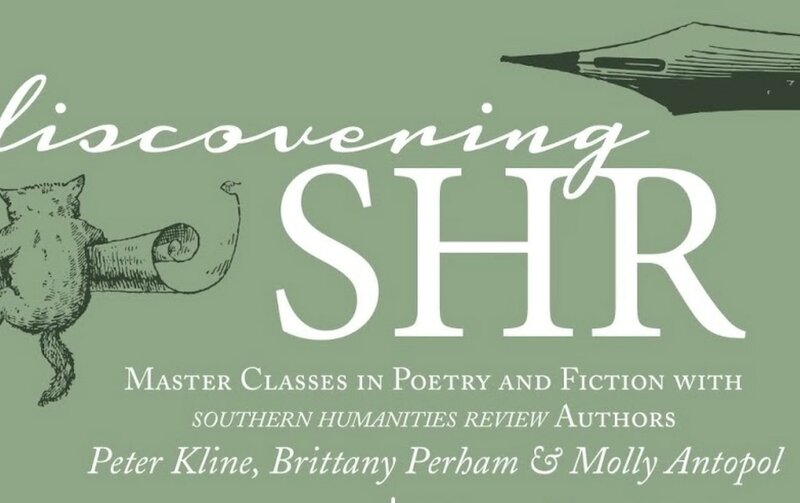 Workshops and readings from SHR contributors Molly Antopol, Peter Kline, and Brittany Perham.